Riding on unfathomable volumes of industrial expertise, we are providing a broad array of Plywood Wooden Box. We are the leading manufacturer of an optimum quality range of Plywood Packaging Box. These boxes are made with plywood with apt moisture treatment such as urea or phenol formaldehyde that helps in preventing moisture from damaging the good stored and also helps in enhancing the look of the plywood boxes. 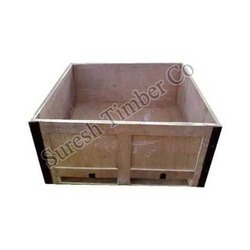 - We are one of the noted manufacturers and suppliers of an extensive range of Plywood Boxes. With the help of our experienced professionals, we have been able to design and develop Pine Boxes. Our offered boxes are designed and manufactured using finest quality wood and other raw material in compliance with the international standards. 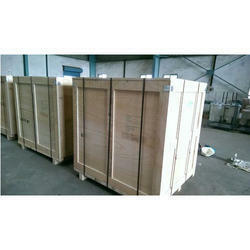 These boxes are widely used to keep the utility items safe. The Plywood Box provided by us is known for sturdy construction, long durability, high-capacity and international quality. These boxes are exclusively used for transferring goods from one place to another. We offer this assortment of products in in varied shapes and designs to assure complete satisfaction to our customers.